NEW YORK—In response to allegations that his office had received a copy of the footage months ago showing former Baltimore Ravens running back Ray Rice hitting his then-fiancée, NFL commissioner Roger Goodell assured fans Thursday that he had been far too busy dismissing other players’ assault cases during that time to have watched the video. 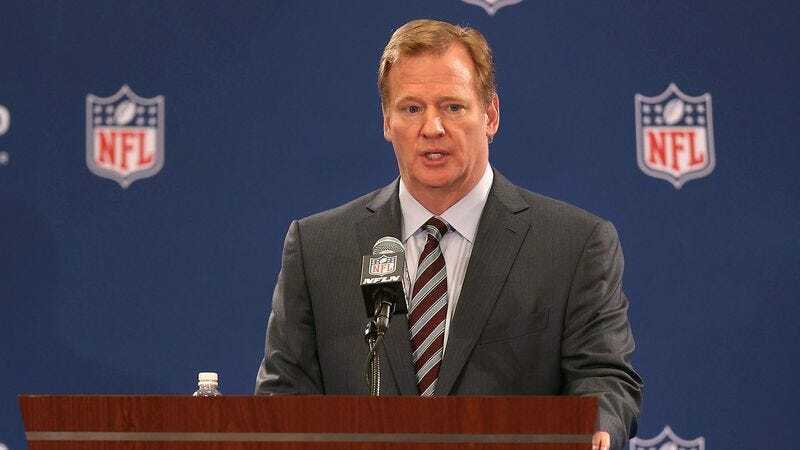 “To those raising accusations that I saw the disturbing surveillance footage of Ray Rice before its public release, I promise you that I was too completely engrossed with sidestepping, whitewashing, and disregarding numerous other domestic violence cases to have time to view the clip,” said Goodell, adding that reviewing physical abuse charges against dozens of other players, sugarcoating the details of these incidents to the press, and burying evidence incriminating the NFL for negligence left little time for much else. “Between glossing over all criminal charges of domestic violence against players and making numerous statements about how we would wait to see how the courts handle things first, there’s really no way I could find a free moment to sit down and watch that entire video.” Goodell added that in order to allay concerns of misconduct regarding the NFL’s handling of domestic abuse, the league is appointing a third party to independently investigate the Rice case and nothing else.